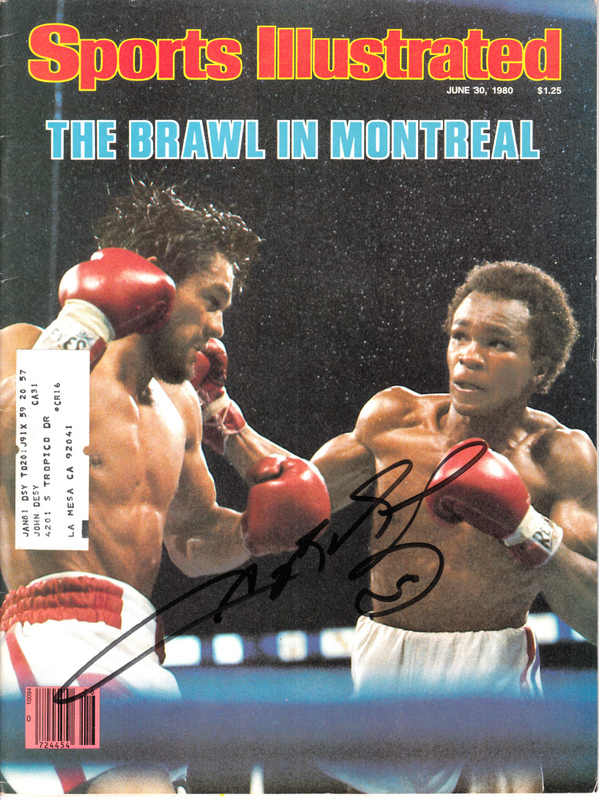 Complete Brawl in Montreal 1980 Sports Illustrated autographed in black marker by legendary boxer Sugar Ray Leonard, who lost an epic battle to Roberto Duran in a close decision. Obtained in person, with certificate of authenticity from AutographsForSale.com. 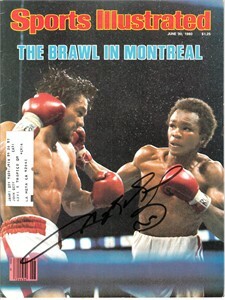 Has subscription label and minor wear but in excellent condition for its age. ONLY ONE AVAILABLE FOR SALE.